The typical bean sprout is made from the greenish-capped mung beans. 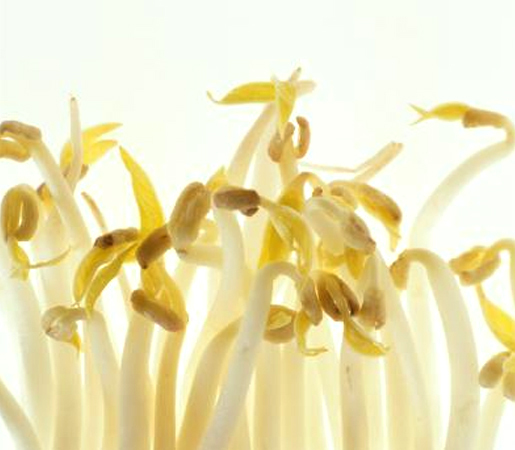 Other common bean sprouts are the usually yellow, larger-grained soy sprouts. It typically takes one week for them to be completely grown. The sprouted beans are more nutritious than the original beans and they require much less cooking time and, therefore, less fuel.